It’s not as if I wasn’t wearing my contact lenses or anything. 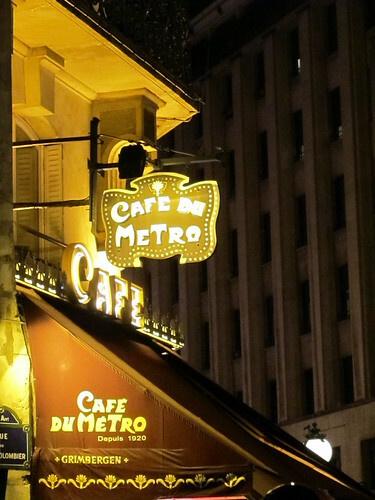 Each time I pass by this café, I keep on (mis)thinking its name is Café du Rétro instead of Café du Métro. Perhaps it’s the style of the sign. It is probably a version of the original from all the way back in 1920, when it was first opened. I gathered that it’s still a family run business till this day.